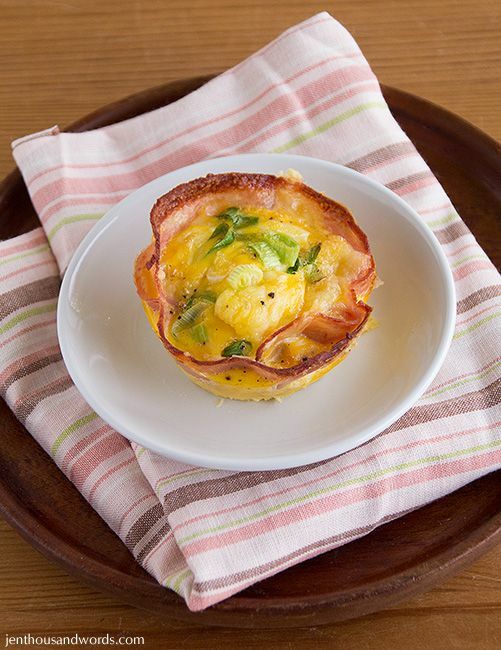 These low-carb muffins are great to grab for a quick breakfast on the go, and so easy to prepare too. 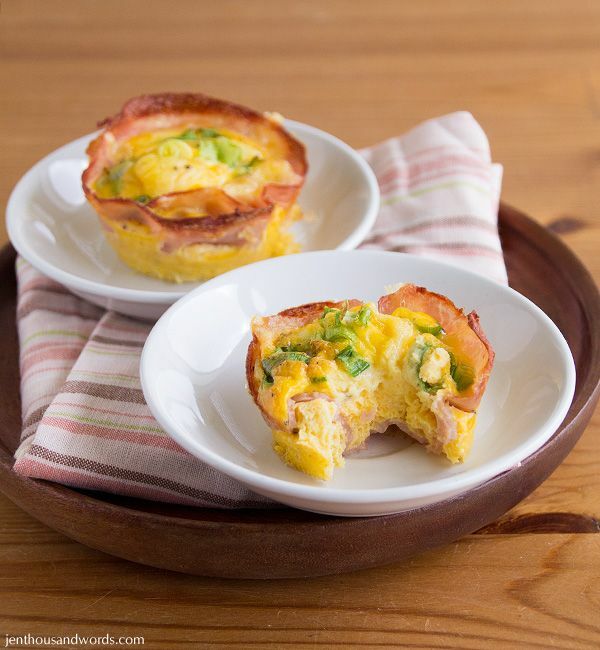 You simply line a muffin tin with slices of shaved ham, sprinkle some cheese in, add any veggies you like (I used spring onions), and pour in some beaten egg. Bake until set. If you have a big enough muffin tin you could crack an egg straight in without beating them.